Leaving the European Union without a deal could be a death sentence for our clean beaches, bringing back the threat of sewage-filled seas and big companies making vast profits from polluting our seas. Please act now to stop a no deal Brexit. Let’s not reclaim the title of the “Dirty Man of Europe”. No matter how we voted, none of us want to destroy the ocean and turn our beaches back in to a sewer. The UK is responsible for 30 times more sea than land and leaving the European Union without a deal could be a death sentence for the ocean. Surfers Against Sewage has a proud legacy in successfully campaigning to improve water quality, based on strong shared laws and cooperation. Water quality has improved from 27% of beaches meeting minimum bathing water standards 1990 to 98.3% in 2017. 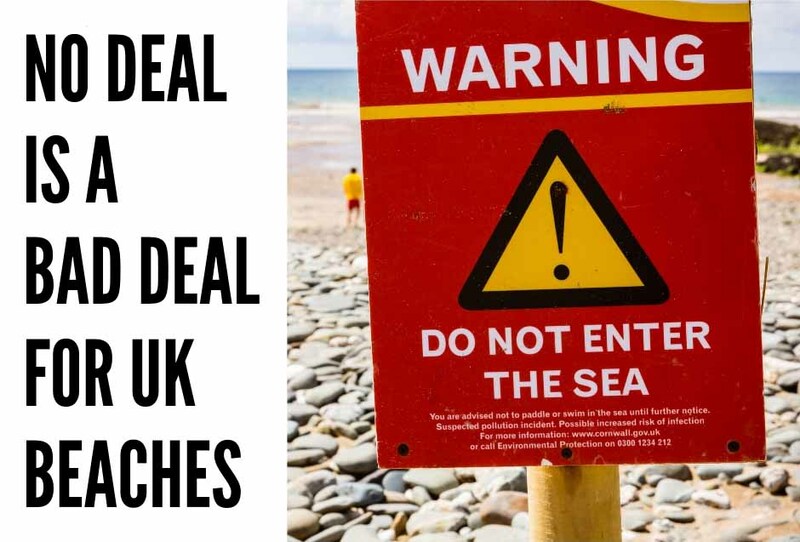 A no deal Brexit would mean that we leave Europe without any rules in place to govern sewage and pollution, leaving us open to big business. The impact of a no deal Brexit will last in our ocean for generations to come. It is time to act now.